It’s not surprising that emerging technologies like blockchain and the Internet of Things draw a great amount of interest among enterprises. These technologies separately come with significant potential to improve challenges that organizations face, such as risk management and operations tracking. Only a small subset of businesses have started implementing the Internet of Things, however, blockchain may be able to change that, and pairing these two solutions together can unlock possibilities for businesses. What should enterprises know about implementing blockchain, and how it might help the Internet of Things? As you may imagine from two emerging technologies with much potential, the cross-section of these distinct solutions presents an even greater amount of new opportunities. In fact, some of my colleagues and collaborators in a recent whitepaper identified more than 35 use cases of companies using both blockchain and the Internet of Things, spanning operations, provenance and authentication, autonomous machine-to-machine interactions, service-based businesses, and data monetization. And these use cases have been created for good reason – blockchain with the Internet of Things can drive significant value for enterprises through cost reductions, revenue enhancements and risk mitigation. One of the most significant ways blockchain can help drive Internet of Things adoption is by improving fragmentation, a common challenge caused by the wide range of devices and systems involved in the Internet of Things. Fragmentation can result in minimal interoperability, and a higher possibility of errors or lost or compromised data. 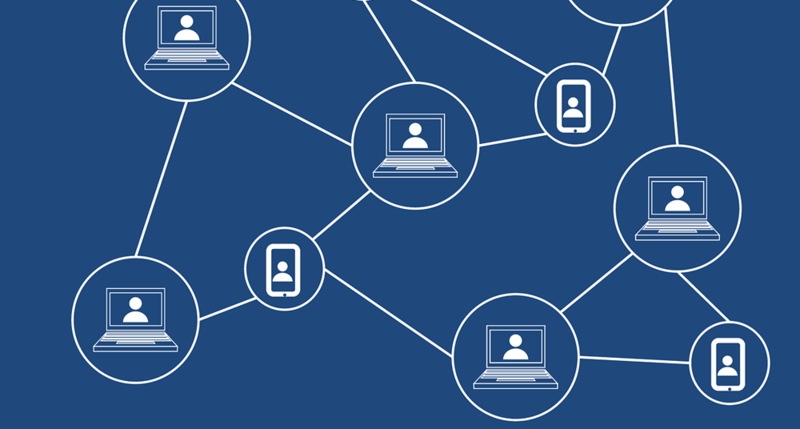 Blockchain, however, can help solve some of these concerns because it’s able to programmatically create new, trusted touchpoints with Internet of Things platforms. These can span across multiple networks that generally don’t want to trust one another, creating new Internet of Things ecosystems. Once this occurs, enterprises can build new connections and realize new efficiencies, thus driving business results. Blockchain has also made noticeable headway in terms of establishing common industry standards. These standards are important – without them, enterprises face a lack of consensus and experience significant limitations in working together. Standards can lay the common ground to create better cross-functionality. However, IoT has only more recently begun to address this. By following the lead of blockchain and leveraging how groups have collaborated, the Internet of Things may be able to drive its own adoption. Additionally, blockchain has a unique ability to affirm a single version of the truth across multiple stakeholders and drive data integrity. By nature, blockchain can add facts to a network – for example, if a product was created in an ethical matter or what processes were put into place to keep that identity strong. By being able to verify and validate facts about an identity, blockchain adds a layer of trust to the Internet of Things should an endpoint be compromised. Beyond this, though, it can also help in developing best practices, maintaining internal compliances and driving authenticity in settings where the Internet of Things is used, driving elevated confidence in IoT deployments. So how does an enterprise get started? Both the Internet of Things and blockchain have many different deployment options and are defining the operating requirements differently. The best place to start is to consider how these technologies may be able to help drive efficiencies and automation in a specific use case. From there, it’s easier to determine what approach and offerings may make the most sense and allow scalability as new business models and opportunities develop. About the author: Anoop is Head of Cisco’s Blockchain Initiative. He is focused on identifying disruptive technologies and accelerating their adoption through business incubation via co-development, co-innovation, partnerships and acquisitions. Prior to joining Cisco, he led large initiatives at a service provider, was a co-founder at a video startup, ran several small businesses, and spent a number of years at Nortel Networks in Ottawa.